A major gut and remodel of a dilapidated kitchen yielded an open and more functional plan. A high level of craftsmanship, a restored antique stove, and the reuse of swinging doors as a pantry made this kitchen a natural fit for this beautiful Elmwood home. 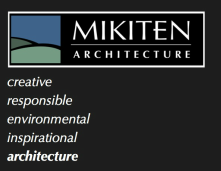 Mikiten Architecture provided color design for the entire interior and exterior of the house. 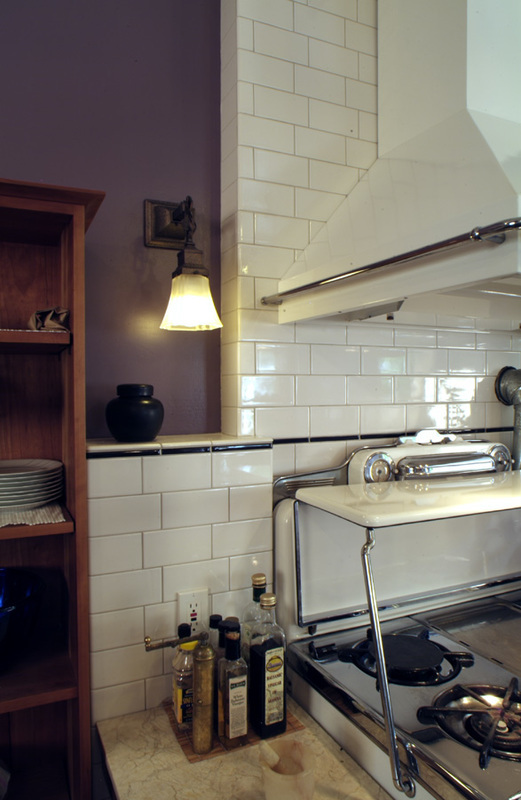 We combined the original narrow hallway with the worn kitchen to create a spacious room where guests socialize in the sweet aroma of the owner’s traditional Armenian food. 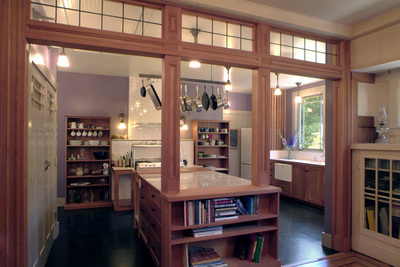 The open floor plan is modern, yet details and craftsmanship blend the seams between tradition and functionality. 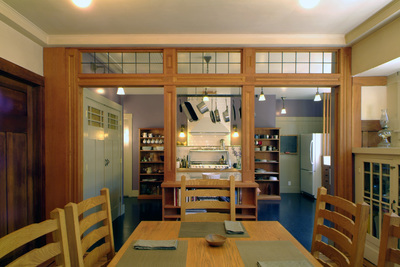 An open wall with leaded glass transom windows replaced a solid wall with defunct fireplace between the dining room and kitchen. 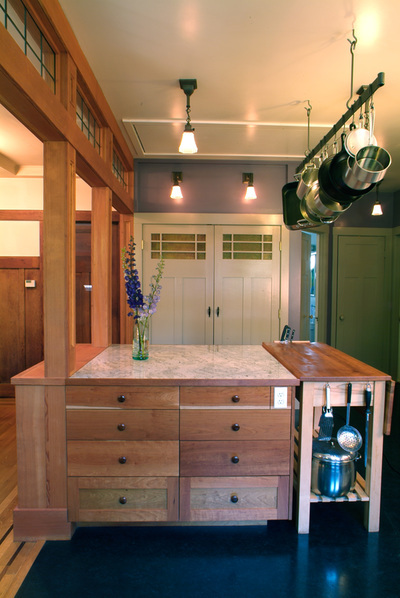 The kitchen incorporates a much-loved antique stove placed against a new backdrop of classic rectangular brick tile in relief from the wall; marble slabs, cherry shelves, and a butcher block table from a previous home. 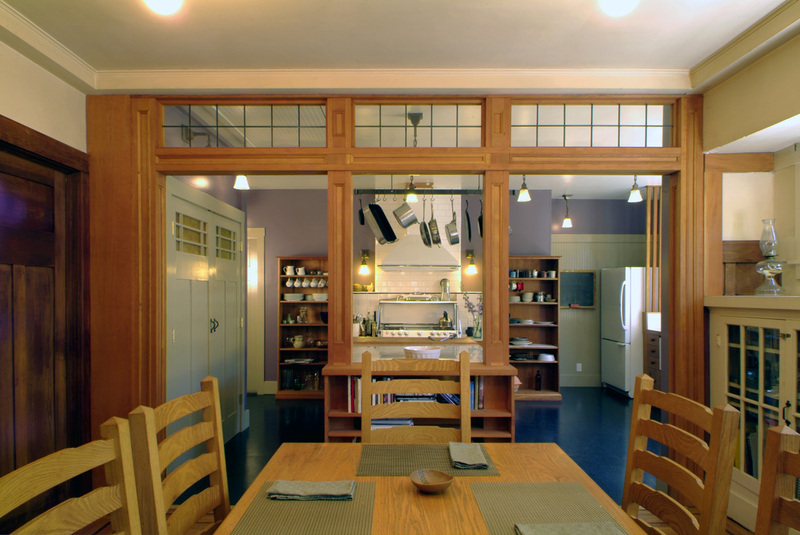 The original hallway doors were restored and used in the pantry wall.